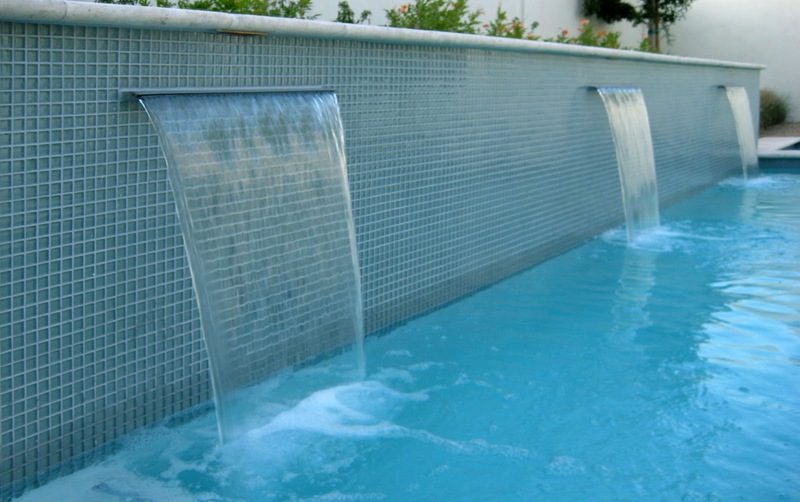 Alpentile Glass Tile Swimming Pools: Water Feature, or Swimming Pool....No need to choose! 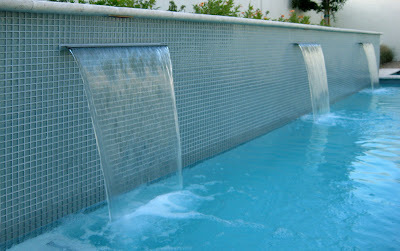 Water Feature, or Swimming Pool....No need to choose! In a perfect world we would never have to make the compromise between form and function. 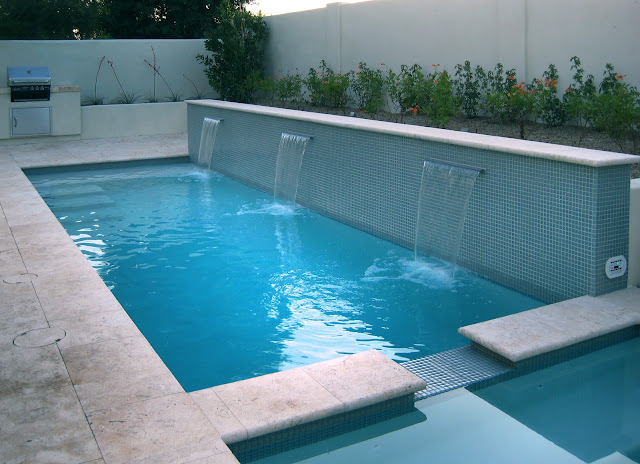 We like this pool project because it's a great example of the swimming pool as a design feature. Which comes first? It doesn't really matter as long as you can have both. This client really wanted a contemporary feel in this cozy backyard space, and icy blue 1x1 painted back glass mosaics were a great choice to keep the palette clean and cool. 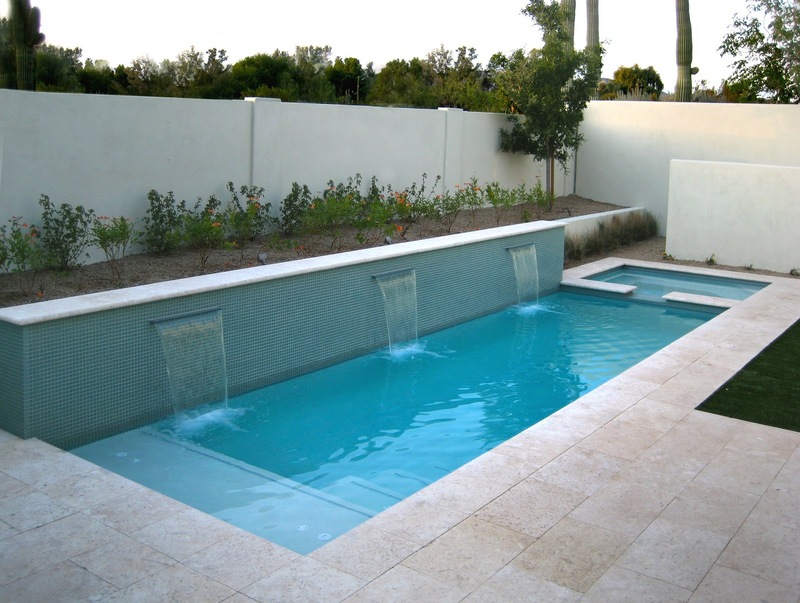 Realistically, we spend 90% of our backyard time looking at our pools, rather than being in them. 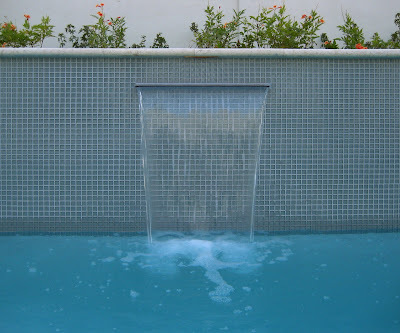 Morgan Holt, owner of Earth Art Inc, and Natural Reflections Pools and Spas worked together with the client to create a stunning water feature in this cozy backyard space - beautiful to look at, and also a functional pool or spa when required. The end result is a great entertaining space, whether for a pool party, backyard BBQ, or a quiet morning cup of coffee on the patio...enjoy! 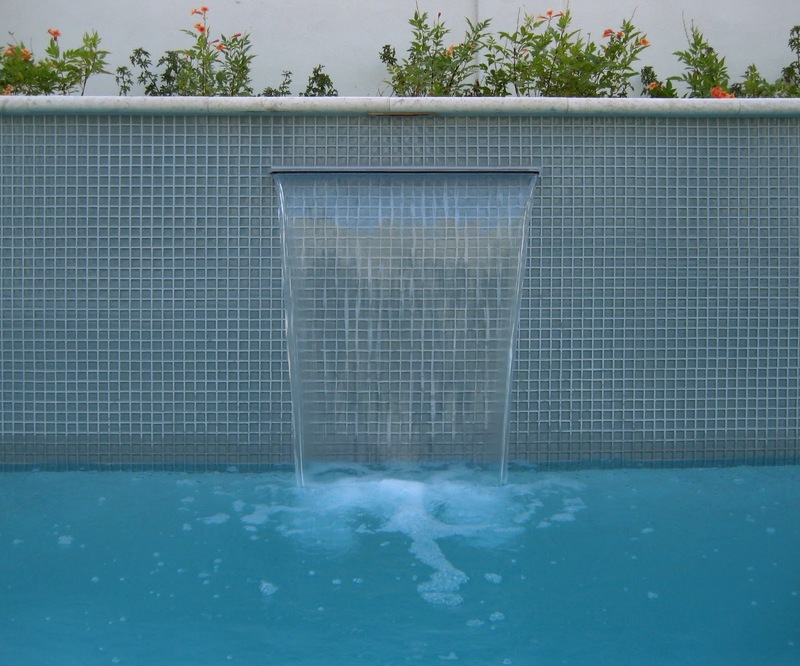 Hardscape and Design: Morgan Holt, Earth Art Inc.